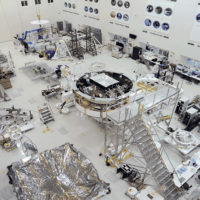 For the past few months, the clean room floor in High Bay 1 at NASA's Jet Propulsion Laboratory in Pasadena, Calif., has been covered in parts, components and test equipment for the Mars 2020 spacecraft, scheduled for launch toward the Red Planet in July of 2020. 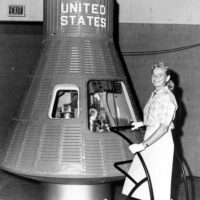 America’s first female astronaut candidate, pilot Jerrie Cobb, who pushed for equality in space but never reached its heights, has died. 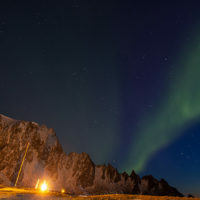 Cobb died in Florida at age 88 on March 18 following a brief illness. 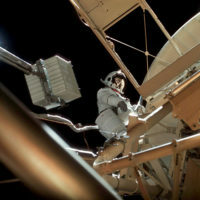 News of her death came April 18 from journalist Miles O'Brien, serving as a family spokesman. 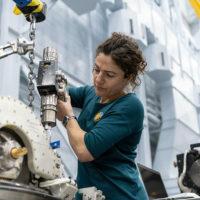 Northrop Grumman announced April 19 that the “S.S. 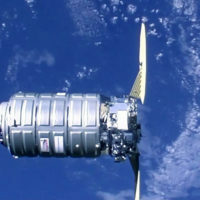 Roger Chaffee” Cygnus™ spacecraft successfully completed its rendezvous and berthing maneuvers with the International Space Station earlier this morning. 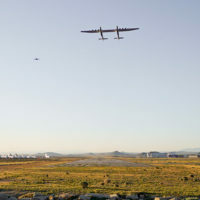 A giant six-engine aircraft with the world's longest wingspan completed what company officials called a superb initial flight over California's Mojave Desert, bringing to life a dream held by the late Microsoft co-founder Paul G. Allen. 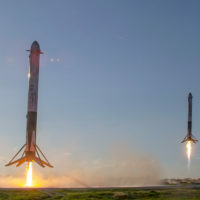 SpaceX launched its second supersized rocket and for the first time landed all three boosters April 11, a year after sending up a sports car on the initial test flight. 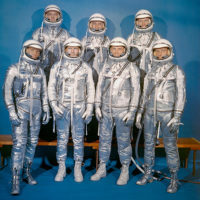 On Oct. 7, 1958, the new NASA announced Project Mercury, its first major undertaking. 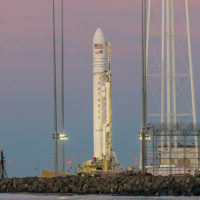 The objectives were threefold: to place a human spacecraft into orbital flight around Earth, observe human performance in such conditions, and recover the human and the spacecraft safely.